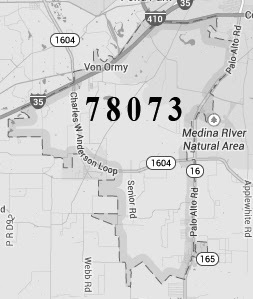 Von ormy—A request by the City of Somerset to transfer a large portion of the Von ormy zipcode (78073) to Somerset (78069) failed following a survey of postal customers failed to gather the required support. The process involves a cost evaluation and customer survey. Some 2053 surveys were mailed to postal customers with Von ormy addresses, whose addresses were subject to change under the proposed plan. 378 surveys were returned to the USPS. The result of the customer survey, which concluded December 1, 2013, was 69% opposed and 31% in favor. The failure of postal customer support effectively ended the proposal, which needed a majority in favor to move forward. There was much at stake in the zipcode struggle. Postal routes for Somerset addresses were transferred to the Von ormy Post office last summer as part of postal consolidation efforts. Long term projections suggest that additional consolidations are likely in the future. Von ormy residents in the Savannah Heights subdivision organized community opposition to the effort. The City of Von ormy also weighted in with a unanimous resolution in opposition to the measure. USPS said that residents will receive notices of the outcome of the survey in early December. Further zip code change proposals are not likely anytime soon, as the City of Somerset is barred from making another request for a zip code change for another 10 years.